Elektra is the popular super hero of Marvel Movies brought on the reels by Playtech. The symbols on the reels are taken from the legend that surrounds Elektra. Elektra herself is the wild symbol and the Elektra Logo is the scatter symbol. The weapons used by Elektra are also symbols on the reels. Among them are her favorite sword-like twin Sais. Other weapons are Shuriken or star shaped throwing discs and Bow. Articles worn by Elektra have also been used as symbols. These include Arm Band and Pendant. The pendant was a family heirloom given to her by her dying mother. High value card symbols from Ace to Nine have also been used. These have been styled after Japanese characters reflecting the Japanese martial arts training of Elektra. 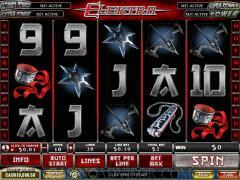 In Elektra players can enable up to 20 paylines. Most players will enable all 20 paylines because winning combinations pay only if they appear on enabled paylines. Players can also wager up to 10 coins per payline allowing players to wager up to 200 coins per spin. The amount wagered will depend on the coin size chosen. Players can choose from 8 sizes ranging from 0.01 to 5.00. The Elektra Logo is the scatter symbol. Scatter payouts are given when two or more Elektra Logo symbols appear anywhere on the reels. Elektra is the wild symbol and appears only on Reels 2, 3 and 4. It substitutes for all symbols except the scatter symbol. Elektra symbols do not offer any payouts nor do they multiply payouts. Three or more Elektra Logo symbols anywhere on the reels trigger the Weapons Bonus round. 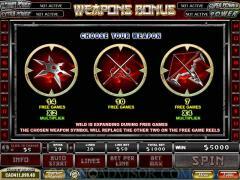 The players select one of the three weapons used by Elektra and the associated free spins parameters. The Sais offer 10 free spins. 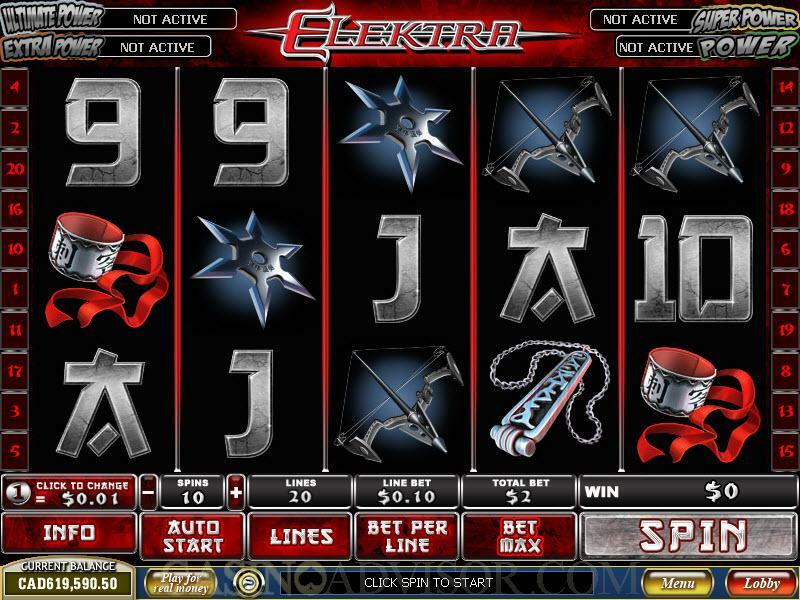 The Shuriken offers 14 free spins with doubled payouts. The Bow offers 7 free spins with quadrupled payouts. The chosen symbol weapon replaces the other two weapon symbols during the free spins. Hence the Sais offer is not redundant though it may appear so. The line payouts offered by Sais are very high compared to those offered by the other two weapons symbols. 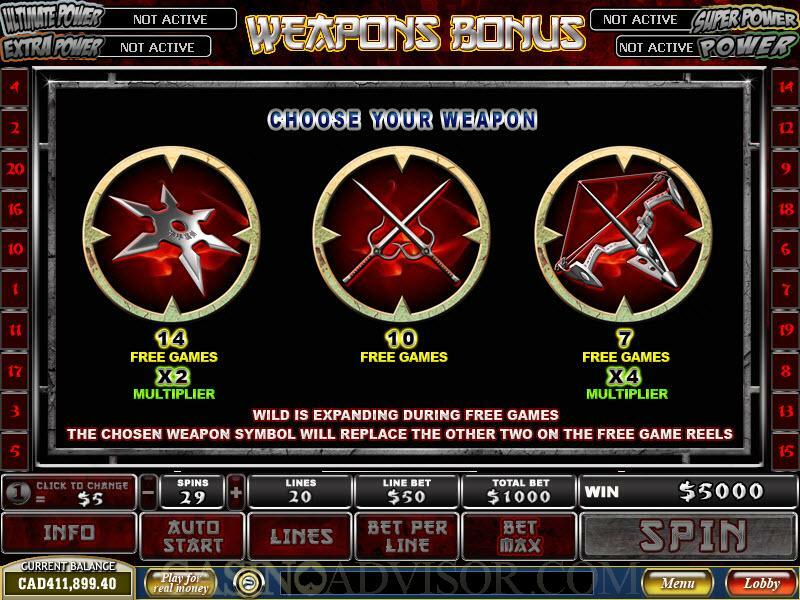 The wild symbol becomes an expanding wild during free spins. The Weapons Bonus round cannot be re-triggered. Elektra is linked to the four level Marvel Mystery progressive jackpot. Wagering on any of the Marvel Movie games increases the value of the jackpot. Though the jackpot is triggered randomly, larger wagers increase the chances of it being triggered. In the jackpot round the screen displays a 4 x 5 grid. Each square of the grid conceals the symbol of one of the four jackpot levels. Players have to click on the squares to reveal the symbols. The jackpot level of which three symbols are the first to be revealed is considered hit. Interested in reading more detailed information about Elektra? If so Click Here for more details.